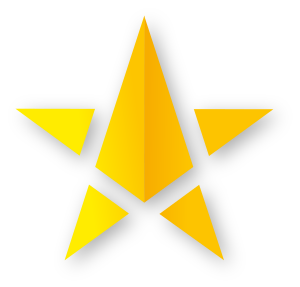 Stardom Company offers a wide range of sophisticated solutions in the field of stage technology, ranging from rail systems, motors, rope winches, truss constructions, including the supply of light, sound and projection technology. We provide comprehensive solutions, and we can place the whole assortment into operation. We are able to equip almost any space and tailor everything to your requirements. Stage platforms are TÜV-certified stage and tribune systems. They are high-quality stage systems that can be used both indoors and outdoors with a wide range of modifications and accessories. The standard size is 2×1 m and 1×1 m. Of course, atypical dimensions can also be produced. These systems are also suitable for creating elevations (stepped auditorium). A fixed or telescopic set of legs is required for the platforms. For telescopic legs, it is possible to work with a podium at a height of 20 to 200 cm. You will appreciate this advantage if you use the podium on a background with various height differences. Besides the standard colors, other color options can be offered on request. Hence, you can choose between a standard or totally atypical solution. The high guaranteed load capacity of these platforms/stages will give you a very sophisticated solution that will last a long time thanks to its high quality. 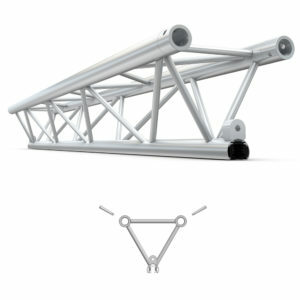 At present, truss systems and their solution have become standard in the world of entertainment. Thanks to this effective system, you can create complex design solutions. From truss constructions, it is possible to create high quality roofs, which are a complement to outdoor stages. Roofs are a highly sophisticated solution for which many accessories can be obtained. In our offer you will find many typical and atypical truss solutions. Truss solutions are suitable for rental companies in the entertainment industry, municipalities/villages, exhibitions, event agencies and other culture organizations. We create all truss solutions directly based on the customer’s requirements, please write to us about them. High-frequency welding machines guarantee projection screens of any size with minimal welding visibility. In our offer you will also find cinema screens in the quality without welding. Depending on the customer’s requirements, we provide a suitable tailor-made solution. We can create atypical shapes, such as domes, polygons, and more, with an excellent projection effect. At the same time, we offer unconventional alternatives such as flooring projections. Along with projection screens, we supply complete accessories such as covers and frames. Projection screens can also be produced in large formats, i.e. dimensions over 10 m. We offer mobile (easy to fold) or fixed screens. For fixed projection screens, it is necessary to decide whether it is better to use a rolling screen or fixed attachment in the frame. All track systems are designed with an emphasis on the client’s requirements as well as the given requirements placed on the tracks. We can supply manual, cable and motor tracks, everything is tailor-made, and the tracks can be supplied in any color. Tracks are used for companies in the area of entertainment, towns/cities, exhibitions, show event agencies, and other cultural organizations. 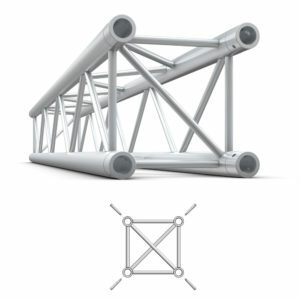 All truss solutions are created based directly on the customer’s wishes, write to us about them. Rope winches are used to hang decorations, projection screens and backdrops. The installation of the elements is simple due to a series of rollers and cables suspended on the ceiling. A control system placed on the wall can be used to lift and release through the rotary movement of a suspended rod. Every rope has its guaranteed load bearing capacity, and we also provide their revision. We create the optimal solution according to the wishes and requirements of each customer, we look forward to our cooperation. We are able to provide elevations or tribunes to auditoriums in cultural venues as well as theaters and others. Elevation systems are simple, quickly foldable and demountable systems that allow elevations, tribunes, to be rebuilt on the podium if necessary, or can be kept permanently as a tribune system. Thanks to the ease of installation and storage, two people can handle the job to provide a professional high-quality solution. We supply complete accessories, or we can create accessories based on the customer’s request. Standard accessories include: safety railings, stage stairs, equalizing accessories for uneven terrains, fixed elements, skirting rails, etc. In terms of aesthetics, based on the customer’s request, we can unify the appearance of the entire platform, elevation, tribune with demountable skirting rails corresponding to the upper tread plate. The high load capacity of each segment is guaranteed. Available in Heavy duty variant with higher max load. 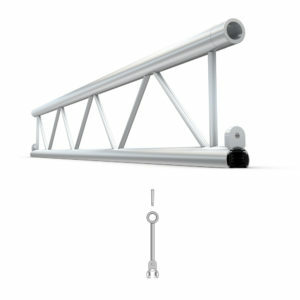 Use: As lights hanging platform or addition to your current truss. Use: Best for lights and sounds setups, either horizontally or vertically. Great additional to your current truss.